Terms and Conditions | Geraghty, Dougherty & Stockman, P.A. 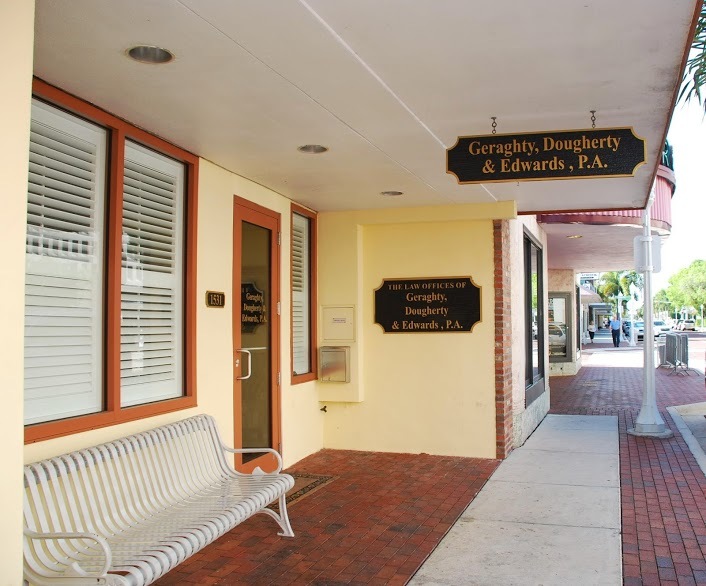 This web site is provided by Geraghty, Dougherty & Stockman, P.A. (“Geraghty, Dougherty & Stockman”) for informational purposes only and is not meant to constitute legal advice. Communications with Geraghty, Dougherty & Stockman via this web site or via email does not establish an attorney-client relationship and any information sent to Geraghty, Dougherty & Stockman before establishing an attorney-client relationship as evidenced by a signed engagement letter can and will be used for the benefit of the firm’s existing clients. PLEASE TAKE NOTICE that until Geraghty, Dougherty & Stockman has formally established an attorney-client relationship with you by way of written agreement, DO NOT send any confidential information or any information you would expect to be maintained in confidence through this web site or through any email address posted on this web site. These Terms shall be governed and construed in all respects under the laws of the State of Florida and venue shall be agreed to take place in the state and federal courts in Lee County, Florida, in any action arising out of or related to this web site, or the content hereof. The Terms and Conditions contained herein set forth the entire understanding between Geraghty, Dougherty & Stockman and any visitor to this web site, with respect to the subject matter hereof.